Aleesoft Easy Blu-ray Creator is a very easy to use Blu-ray Creator, 100% clean (No Viruses, No Adware, No Spyware). 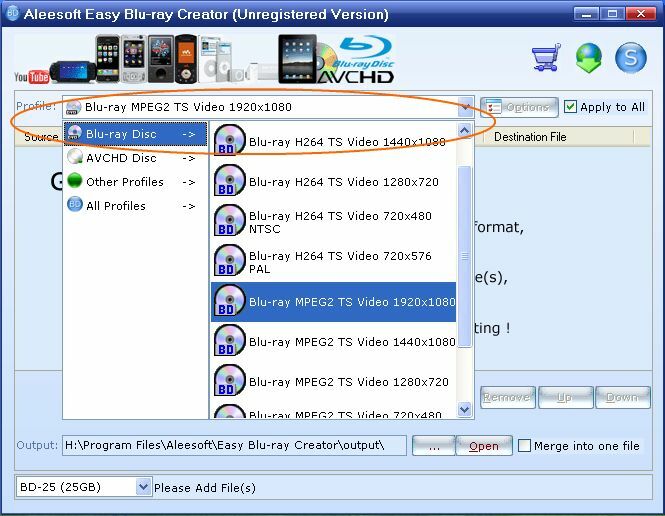 This Blu-ray Creator can help you convert, author and burn video to blu-ray disc . Supports high-definition (HD) video output in various resolutions: 1280x720, 1440x1080, and 1920x1080, also support 720x576 PAL, 720x480 NTSC. Blu-ray Disc (also known as BD or Blu-ray) is an optical disc storage medium designed to supersede the standard DVD format. Its main uses are for storing high-definition video, PlayStation 3 video games, and other data, with up to 25 GB per single layered, and 50 GB per dual layered disc. The name Blu-ray Disc derives from the blue-violet laser used to read the disc. While a standard DVD uses a 650 nanometer red laser, Blu-ray uses a shorter wavelength, a 405 nm blue-violet laser, and allows for almost ten times more data storage than a DVD. Before converting and burning video to blu-ray disc, please download and install Aleesoft Easy Blu-ray Creator. Step 2: Add video. Click "New Task" button to add video to this Blu-ray burner, also you can drag and drop video file from windows explorer into this video to Blu-ray burner. Step 3: Convert. 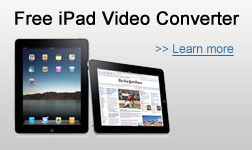 Click "Convert" to start converting and authoring video to BDMV. Step 4: Burn. 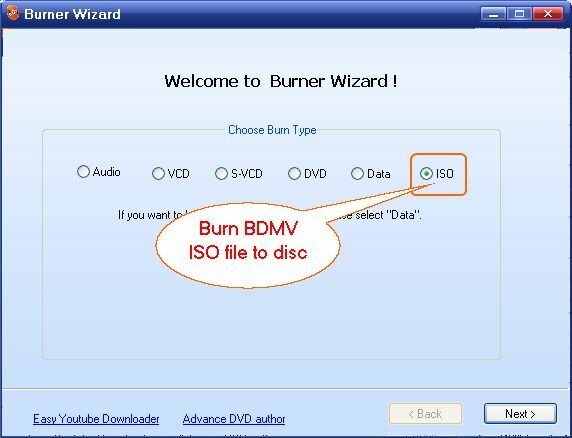 after conversion completed, the powerful media burnner will be pop-up, you can burndig the converted ISO file to Blu-ray disc or AVCHD DVD. After burning completed, playback the burned disc on your Blu-ray player and Sony Playstation 3, enjoy to watching your HD movies. Now download Aleesoft Easy Blu-ray Creator and start a wonderful HD video life.